I have been having trouble with parallax image displays. 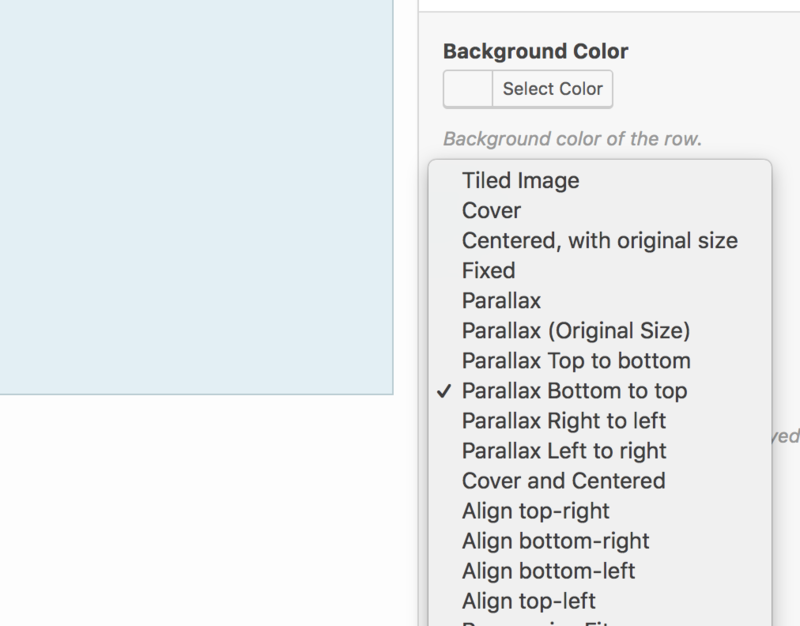 When I change settings of an image to view in Parallax, the image doesn't stay the original size, especially the width of the image. on the link I've added, The image with the dinosaur in in parallax but most of the image is cut out on my screen. When I change the image display to responsive it looks better but when I view the image on smaller devices, the image becomes cropped. Is there a way to keep the image the same proportions when changing the size of the screen viewing the website? Thanks again for the support. You have helped me out so much. Thanks again for the quick reply. Okay I've used page builder and changed to parallax Bottom to top. It looks much better and fits in nicely BUT, when viewing on smaller size the image creates copies on top and bottom border. please see attached image. I'm not sure if it is a problem with page builder? The problem is in image proportion. It is to wide for vertical parallax. Your image is currently 4267px × 1333px. If you manually crop it on sides, or give it some white space above and below, to be for example 3000px x 1333px, then it will fit into the space available. Thank you so much for the help. I gave the image some space above and below like you suggested and it works perfectly now.